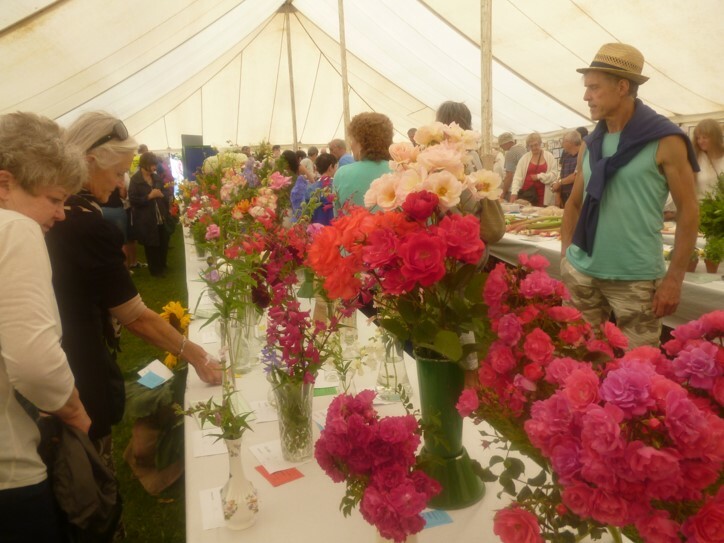 The 73rd Annual Frenchay Flower Show was held on Saturday 16th July. 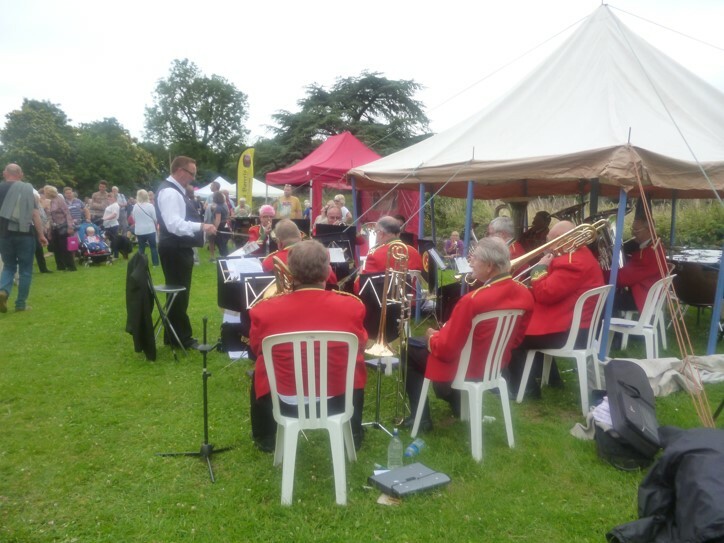 Winds of Change (a new addition to our programme of entertainment this year) got proceedings off to a triumphant start playing a number of band favourites including Summertime, Pennsylvania 6500 and Britain’s Heritage. The Show Prince and Princess, Ryan Stonelake and Rosie Spence, both aged 5, then processed through the showground to pull a bow at the entrance to the Marquee, signifying the official start of the Show. The opening was followed with an enthusiastic and very enjoyable performance by the Bristol Starlight Cheer Squad under their director, Deb Denny. Overall attendance was well up. This year also saw an increase in the number of entries and the judges commented on a ‘good looking show’. Once the exhibits displayed in the Marquee and Friends Meeting House had been admired a variety of stalls provided further interest and some opportunities for retail therapy. A display by the Hawk and Owl Trust, also newcomers to the show, included a Barn Owl, Little Owl and juvenile Kestrel and Peregrine Falcon and proved very popular, with many favourable comments being made about the beautiful birds. Throughout the afternoon vintage buses provided transport between the Flower Show and the Vintage Vehicle display held in the grounds of the former Frenchay Hospital. Frenchay Parish Church provided an opportunity to try bell ringing. Teas were available in the Unitarian Chapel and, in addition to housing the photographic and flower arranging classes of the Show, the Friends Meeting House opened its beautiful garden and provided the venue for a model railway display. The expected Spitfire flypast was unfortunately cancelled due to low cloud, but with all the other attractions there was still plenty to look at. The delicious teas, provided in the Village Hall by Frenchay WI groups, were as popular as ever and the very enjoyable atmosphere of the show was greatly enhanced throughout the afternoon by performances from The Marshfield Brass Band and The Cleeve Singers. Towards the end of the afternoon the cups and awards were presented by Jack Lopresti MP and a very enjoyable and successful day was ably brought to a close by Flower Show Committee Chairman Philip Whitby-Coles with the traditional auction of produce kindly left by exhibitors. The date of the next Flower Show is July 15th, 2017.